House 8810: FREE Pet Rock...Why? Because YOU Rock! FREE Pet Rock...Why? Because YOU Rock! Gary Dahl made the world a happier place in the summer of 1975 when he brought the world its first ever PET ROCK The idea came to him because he was tired of hearing his friends complain about their pets and how hard it was to care for them. So, he decided to bring into the world this sweet little lovable, low cost companion. 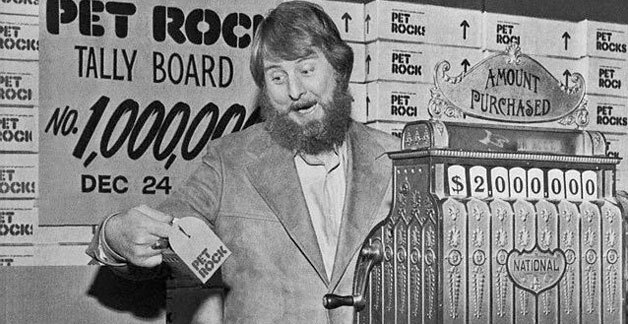 And thus the Pet Rock was born, and Gary Dahl was an overnight millionaire! 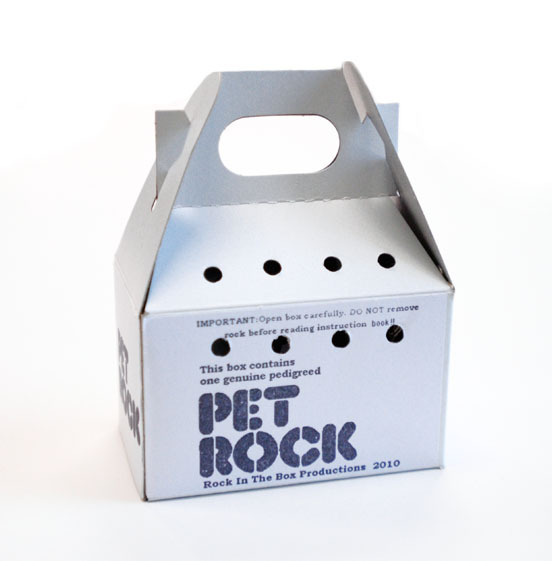 ﻿From now until March 1st enjoy a Free Pet Rock with every order! It may not be the most snuggly pet on the planet, but it sure will be the easiest to take care of! Leave the house for work without having to worry about the trash being sealed tight; your rock is very neat and proper and would never be caught dead sifting through trash. Never be lonely again; you can take your little rock anywhere, the movies, dinner, road trips, the options are limitless. Do you travel frequently? Then this is the pet for you! Never worry about boarding your pet again.....Airport security...NO PROBLEM; they won't even know he's there! This little guy loves to travel, and travel he shall! 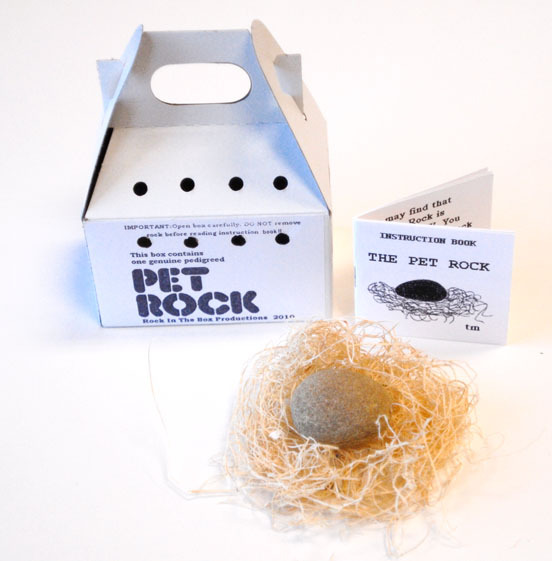 Your Pet Rock comes complete with a full instruction manual for all of your Rock care concerns. Don't worry; this is a responsibility you can definitely handle! You may be a plant killer, but this little rock is resilient, no food or water necessary. Are your kids asking you for a dog? Well, first see how they take care of their Pet Rock, if they lose it less than I lost my retainers then you are probably in good shape, and they may be ready for a real live breathing mammal of their very own! Why are we giving away Pet Rocks with every order? It's simple....because YOU ROCK and this is our way to say thank you! They are also available for purchase on House8810.com if you need extras for gifts, your mother-in-law, your kids, what have you. Just go out and spread that Pet Rock love.